NITV is inviting all Australians to hear stories of our nation’s shared history from an Indigenous perspective. Come and explore what 26 January means to Indigenous people, through a curated slate of distinctive programming. Collectively housed under our #AlwaysWillBe special programming, stories of strength, resilience and survival, from across the country are coming to Channel 34. Songlines Season Two brings a collection of six documentaries from some of Australia’s greatest and oldest storytellers. Each documentary presents an Indigenous Songline story. Community and elders share their rich accounts of dreaming, serving as a reminder of the ancient roots of our country and the enduring power of its original people. Songlines presents a chance to understand and celebrate our rare and precious heritage. Connection to Country follows the Indigenous people of the Western Australian Pilbara’s battle to preserve Australia’s 50,000-year-old cultural heritage from the ravages of a booming mining industry. The Pilbara region sits in the Burrup Peninsula (or Murujuga) and is host to the largest concentration of rock art in the world, dating back over 50,000 years. In 1996 The High Court of Australia granted native title co-existence rights to the Wik Peoples of Cape York. The “Wik Decision” should have been a catalyst for positive change, but instead sparked a national, cultural and political fallout. With unique access to never-before screened footage of a young Noel Pearson and Marcia Langton, this uncompromising feature documentary forensically explores the racism, fearmongering and political maneuvering that occurred in the lead up to the case, and its aftermath. Narrated by David Gulpilil, Another Country is about his home Ramingining, a remote Indigenous community in North-East Arnhem Land. But, in many ways, as the title suggests, it is ‘another country’. This award-winning 2006 film looks at Indigenous life before the arrival of white settlers. This groundbreaking piece of cinema was the first film shot only in an Indigenous Australian language. Filmmaker Trisha Morton-Thomas dishes up a fresh look at our colonial past. Exploring everything they never taught you at school, but should have. history. Occupation: Native will repeat on Saturday 26 January, 8.30pm on NITV (Ch. 34). 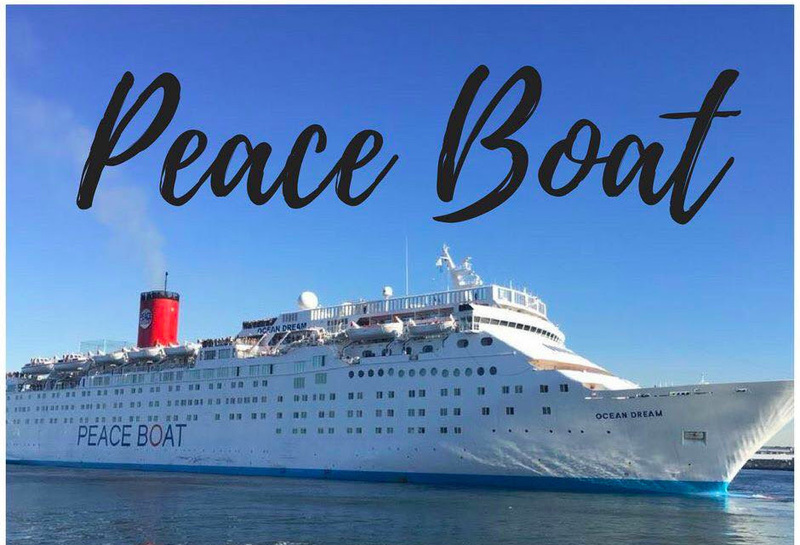 The anti-nuclear group who won the Nobel Peace Prize last year have sailed in to to Hobart on the “Making Waves Peace Boat”. They are on a national voyage with nuclear survivors to tell their stories and advance the call for Australia to reject nuclear weapons. Founder of the International Campaign to Abolish Nuclear Weapons (ICAN), Tilman Ruff, tells Leon Compton everyone agrees nuclear weapons will have to be banned at some point. The question is, when? Is nuclear power globally scaleable? Nuclear Power: Caveats for Energy Policy, Speaker: Prof. Derek Abbott, University of Adelaide, 1st Sept 2017. Is nuclear power globally scaleable? World energy consumption is 15TW. Energy efficiency could save perhaps 13TW. Consider 10 billion light bulbs in the world and replacing them with LEDs. This could save 50GW – the output of 50 nuclear plants. Just the IEA countries alone in 2015 saved energy equivalent to the power consumption of the whole of Japan. If we were to seriously scale up to 15,000 nuclear stations we would only have 25 years worth of uranium left. “one of the vilest racist acts we’ve seen”. because each clan makes its own decisions about its own land and what happens on and within those territories. 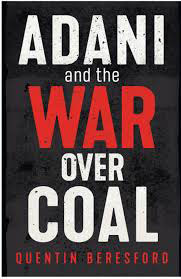 VIDEOS http://reanimatedresidue.wordpress.com/2012/04/08/pine-gap-waihopai-the-southern-echelon/ here comprise a three part interview with Donna Mulhearn, from Christians Against War, formerly a media adviser with the NSW Government. The interview details the role of Pine Gap as a secret US spy base. Donna discusses action (2007) she and other activists from Christians Against War attempted to carry out a citizen’s inspection of the secret US Pine Gap base, and the subsequent arrest and charging of these activists. She also exposes the utilisation of Pine Gap in triangulation of missle targets during the Afghan and Iraq wars. ABC Conversations interview: Liz Tynan on the secret history of Maralinga British nuclear testing on Australian ground: cover-ups, aftershocks and contamination. Dr Liz Tynan is a science writer, and senior lecturer at the James Cook University Graduate Research School. In the 1950s and 60s, Australia’s then Prime Minister, Robert Menzies, agreed to provide land and support to the British nuclear test program. At Maralinga in South Australia, the British exploded seven mushroom cloud bombs (the ‘major trials’).By doing so, they became the world’s third nuclear power, and created some of the most contaminated land on the planet. Elements of the program were shrouded in secrecy. Prior to 1978, most people had never heard of Maralinga. Then whistle-blowers and journalists began to expose the extent of the environmental and human costs of the program. this Saturday marks 71 years since the atomic bombing of Hiroshima. Is the international community poised to outlaw the most destructive weapons ever created? In this episode, the International Campaign to Abolish Nuclear Weapons reports on the progress made at the May session of a special UN working group on nuclear disarmament in Geneva. There the vast majority of nations declared a readiness to start work on a treaty prohibiting nuclear weapons. The podcast will be available after the show is broadcast at www.3cr.org.au/radioactive. We talk about Nuclear and Peace Issues; follow the most current news on nuclear issues in Australia.